Update: Just closed comments on the giveaway, but if you’re looking for a nice collection of peanut butter recipes guess where you can look? Jif Recipes. Chrunchy on sandwhiches or just sraight out of the jar!! i love creamy peanut butter! I’m usually a creamy peanut butter lover, but every one in a while, crunchy really hits the spot! I love crunchy – unlike the rest of the family – and am therefore destined to have no crunch in my peanut butter! I like creamy best on sandwiches and crunchy for snacking on. My boys like creamy the best! Crunchy all the way! Without a doubt. I like creamy best. It spreads better. My husband likes extra crunchy best. We don’t compromise. We buy both. 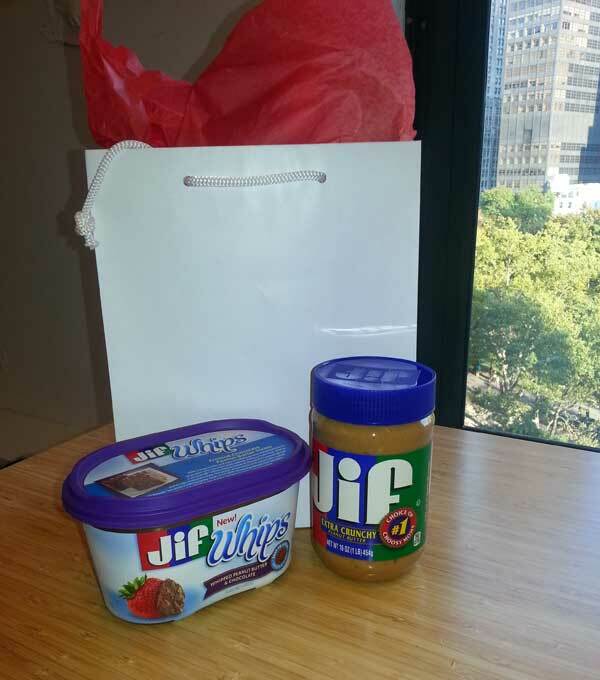 Extra Crunchy Jif peanut butter is delicious spread on slices of crunchy apples (preferably Braeburn or Gala)! Creamy for sure…preferably paired with banana! I like creamy the best. I like creamy best; however, I don’t like PBJ, due to the J.
Creamy for sandwiches; crunchy for cookies!! Creamy! Although my father and I seriously disagree, I think crunchy is just wrong!